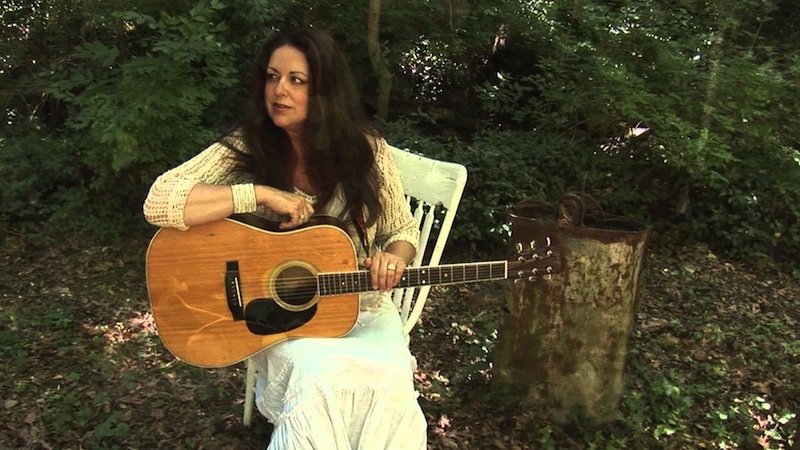 Donna Ulisse: Her earthy, expressive mountain voice has rarely sounded more captivating—all the better to add extra dimension to the stories she tells. 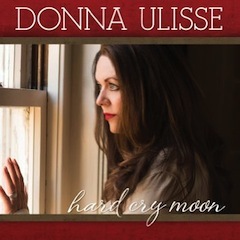 Maintaining the glide in her stride of late, she’s back in 2015 with Hard Cry Moon, a long-awaited collection of new original songs, two being her solo copyrights; four co-written with her collaborative mainstay Marc Rossi; three with her husband (and touring band member) Rick Stanley, a cousin of Ralph and Carter Stanley; and a catchy tale tracing a love affair’s ultimate origins, “It Must Have Been the Mandolin,” written with the estimable Jerry Salley. A dozen tunes in all, it is, with six-time IBMA Guitarist of the Year Bryan Sutton behind the board crafting a warm, full soundscape (and adding his own six-string wizardry as well), as defined by an all-star instrumental lineup featuring Stuart Duncan (fiddle), Dennis Crouch (bass), Scott Vestal (banjo) and, in a true star turn here, Casey Campbell, from Ms. Ulisse’s touring band, on mandolin. Bringing it all home, Ms. Ulisse’s earthy, expressive mountain voice has rarely sounded more captivating—all the better to add extra dimension to the stories she tells. In between these thematic bookends—a wounded soul’s journey to an ultimate truth—the song sequence can be read as reflecting, now with poignancy, now with affection, on the relationship’s evolution. Following “Black Train” (and “Workin’ On the C&O,” not a companion piece to “Black Train” but an account of a couple’s hardscrabble life together in what is a metaphorical tale extolling the value of discipline and focus) the story really begins with the mountain strains of Duncan’s fiddle and Sutton’s brittle, clawhammer banjo setting the stage for “We’re Gonna Find a Preacher,” wherein she sings of meeting “a boy from Mississippi, with Delta charm/when he worked here in east Kentucky on papa’s farm,” and cuts to an apparent elopement to Memphis “with his daddy’s suit and my momma’s gown/and we’re gonna find a preacher.” Her parents, of course, don’t approve of the male in question—“my folks tell me that boy’s a drifter, he’ll leave some day” she sings in a lyric that presages the events of “Black Train”—and their fears as well as well as the singer’s resolve are reflected in the austere soundscape. In one of the album’s many beautiful bits of sequencing, this defiant moment is followed by a loving reminiscence of home and family in “Papa’s Garden.” Which in turn sends the artist a bit forward in time to her courting days in “It Could Have Been the Mandolin,” a sprightly, humorous recollection of the halcyon time when the spark of love between her and her beau may well have been ignited by bluegrass music playing on the car radio on a certain night when they were parked alone under the stars—a lighthearted moment that is deftly, devastatingly and immediately undercut by the misery she articulates with searing emotion in the dark-hearted title track. The storyline continues in the touching love song “As Long As We’re Together,” a heartfelt treatise on the ties that bind, especially in hard times (in the context of Hard Cry Moon, perhaps a corollary to the elders’ experiences as chronicled at the outset in “Workin’ On the C&O”). There are detours along the way, notably in “I’m In For a Long Ride,” another Ulisse solo copyright. Herein the steady plunk of Scott Vestal’s banjo and the melancholy strains of Stuart Duncan’s fiddle frame an interesting perspective on a weary troubadour’s steely resolve to get her message across to a waiting audience in the next burgh, no matter the travails and trials of constantly being on the move with home but a distant memory. This sets up the denouement of “Whispering Pines,” which in turn anticipates the album’s—and the narrator’s—benediction in the soothing hymn-like ambiance (God bless Campbell, Duncan and Vestal for the note-perfect subtlety and economy of their aggregate support) of “I’ll Sleep in Peace at Night.” Finally, at journey’s end, she has arrived metaphysically at a place where she can believe, Scarlett O’Hara-like, in tomorrow being another day; a place where she can accept her faults and whatever fate awaits her, and “be okay with who I am/and to sleep in peace at night.” It’s the most valuable lesson she’s learned en route, one that brings her to a healing moment, a revelation of truth, a springboard for moving forward clear-eyed and whole, still open to letting her broken heart love again. “Each new sun that peeks through my window/is a chance to set things right,” vows she, and may it truly be said of us all.